Click the yellow button to display the map in full screen. 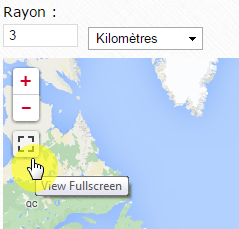 On desktop you can also resize the map by drag'n'drop the border line at the map bottom. You can make the map always bigger or very small if you focus on the data only.